Last week, we enjoyed our family vacation in Tampa Bay, Florida. It was three days of amusement parks, eating good food and just exploring around town. Do you know how happy I was to just get on the interstate! And we went to an actual BIG mall. I was beside myself. I've been in Alabama too long. We had so much fun. Seriously, so much fun. This little guy despises strollers so he hung out in the Ergo (a.k.a. baby backpack) aaaalllll day. And the next day too. I probably walked 10 miles in those 2 days with a 25lb toddler on my back. No pain or soreness. That thing is legit. Can't not get a picture with D.V. 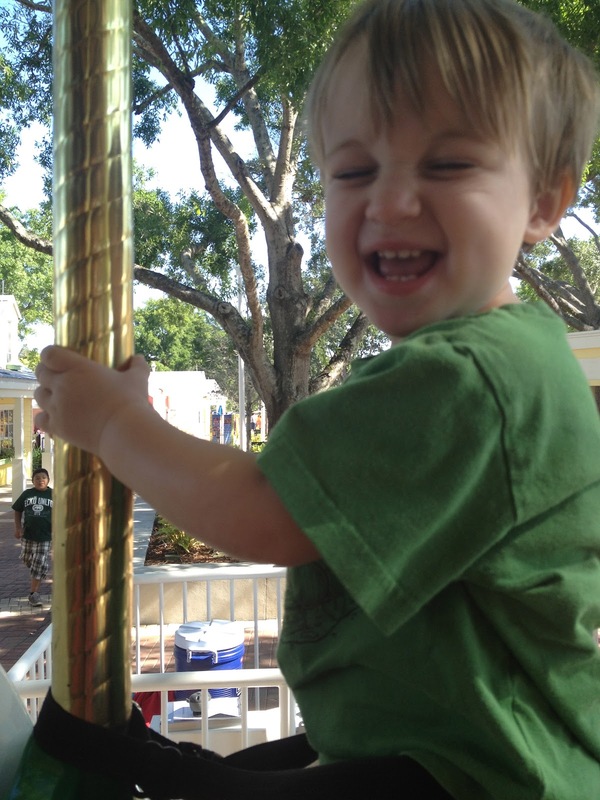 Jude is a fan of the carousel. All-in-all, Legoland was fun. It is the perfect park for 5-15 year old kids (mainly boys). The rides were nothing like Six Flags or Busch Gardens and they were way too short, but they were still fun. 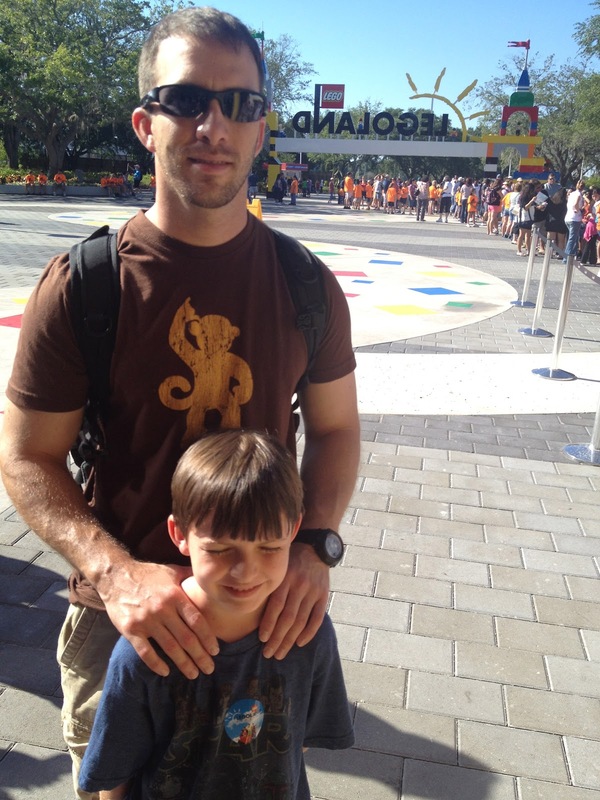 They were the perfect size for Jonathan's FIRST roller coaster. He was instantly addicted. You should have seen how many he was riding at Busch Gardens the next day...the really scary ones too. Legoland looks AWESOME. I want to go! Is this Legoland a 'resort'? We've been looking into the one in Cali. Therefore I cannot show them these pictures or they will harass me to no end! BUT It looks like a fab time & I'm glad u guys got to go enjoy some more Florida time. by 'them' I mean the kids. 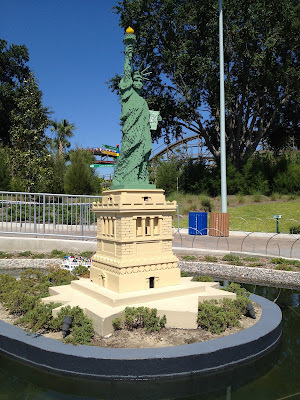 Wow Legoland looks like so much fun! I will have to go there sometime! Oh my golly, that place looks like too much fun! I want to go now. I need to get out of Alabama for a while, too!